From the get go, we wanted to offer truly exceptional cultural tours in Greece, tours that went beyond sightseeing. We wanted to offer unique cultural experiences. Since launching Discover Greek Culture, we’ve designed some of the best tours currently available in Greece and showcased our country through a range of fantastic cultural experiences and top-of-the-range customer service. For us, that means that your needs come first. Our guided tours can be adapted to meet your requirements, from group size to language to diet and everything in between. Better yet, because we offer private tours, we can offer you the option to design your own tailor-made tour. Our Tailor-Made Tours range offers a wealth of options, locations, activities, and exclusive experiences to inspire you to explore the culture of Greece. We also offer a range of options for business clients, including exclusive settings and locations for business meetings, extraordinary ideas for corporate tours and retreats, and unique team-building activities set amidst some of the world’s most iconic ancient monuments. Once you have submitted your request, our Tour Consultants will assemble an one-of-a-kind experience for you, and email you all the information concerning the itinerary and cost. Please allow up to 24 hours for a reply, Monday through Friday. The new multi-award winning museum that has gained much acclaim with institutions and visitors alike and is considered one of the best of its kind in the world. The building was designed specifically to showcase artefacts from across the Acropolis archaeological area in an as accurate as possible context and, to this end, makes the most of its location, looking out at the Acropolis and the Parthenon itself. Discreetly situated just off the main site of the archaeological area of the Sanctuary of Artemis, the Archaeological Museum of Brauron presents the history and architecture of the Sanctuary of Brauron, showcases an array of votive items and gives context to various aspects of the worship that took place at the site. The Benaki Museum is one of the most acclaimed museums in Greece and ranks among the country’s major cultural institutions. In addition to its exhibitions, the Benaki Museum boasts an extensive photographic archive, the largest library collection of any museum in Greece, and a state-of-the-art restoration and conservation workshop. 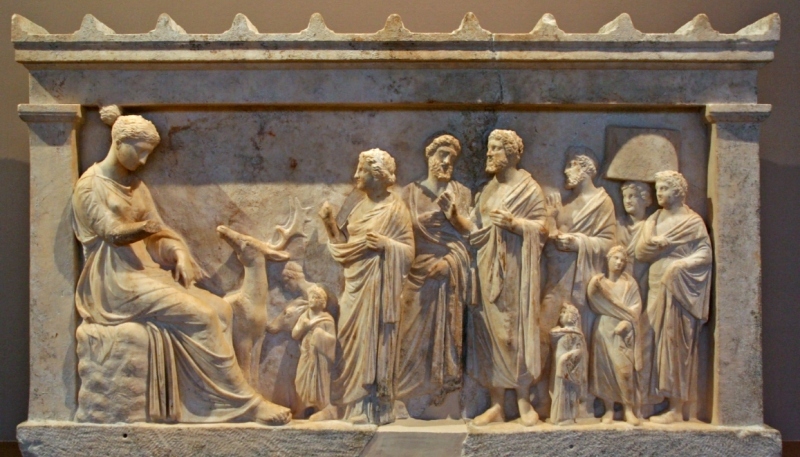 Discover Greek Culture has arranged for theme-tours of the museum’s collections with a particular emphasis on the period following the establishment of the modern Greek state. 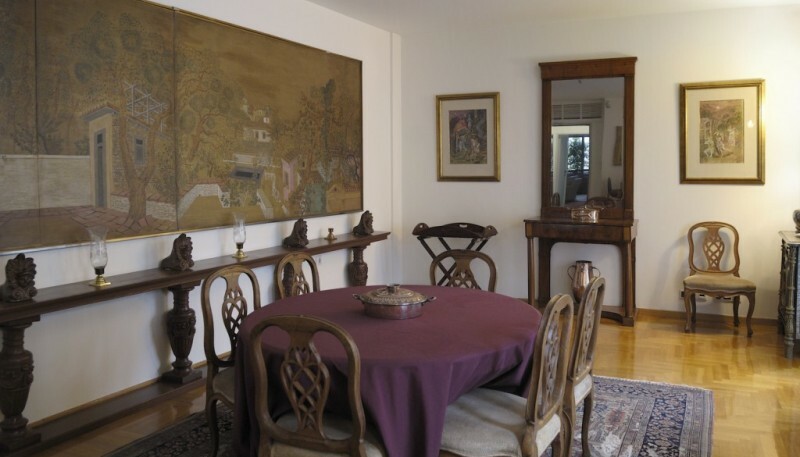 Aggelos and Leto Katakouzenos’ home was once one of the capital’s great salons literaires of the Greek ‘30s Generation and has hosted many of the leading artists and intellectuals of their time. 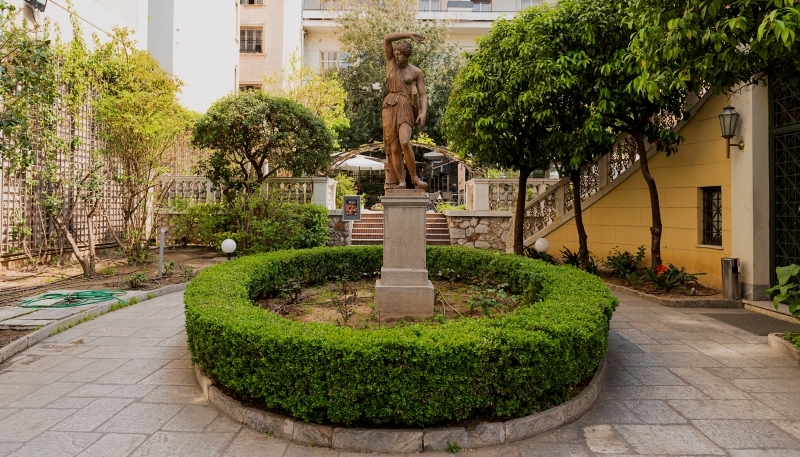 The Katakouzenos House Museum houses a collection of works and objects d’art by prominent Greek and international artists. Discover Greek Culture’s visits to the museum include a break for wine and finger food. 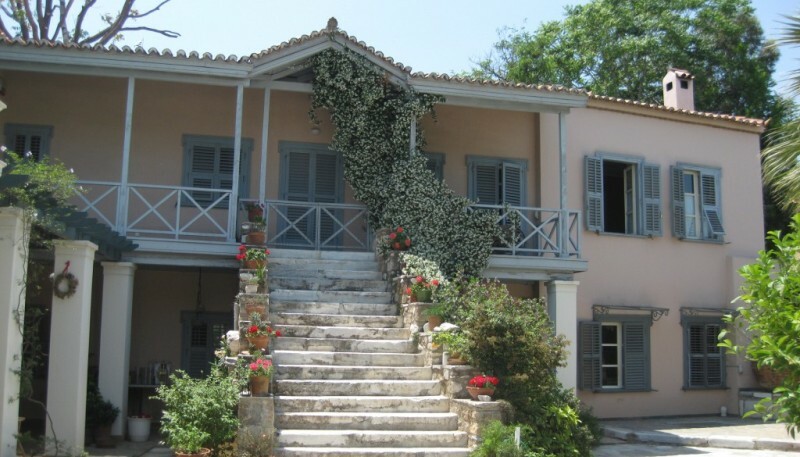 Open to the public since 1986, the museum was founded to house the private collection belonging to Nicholas and Dolly Goulandris. 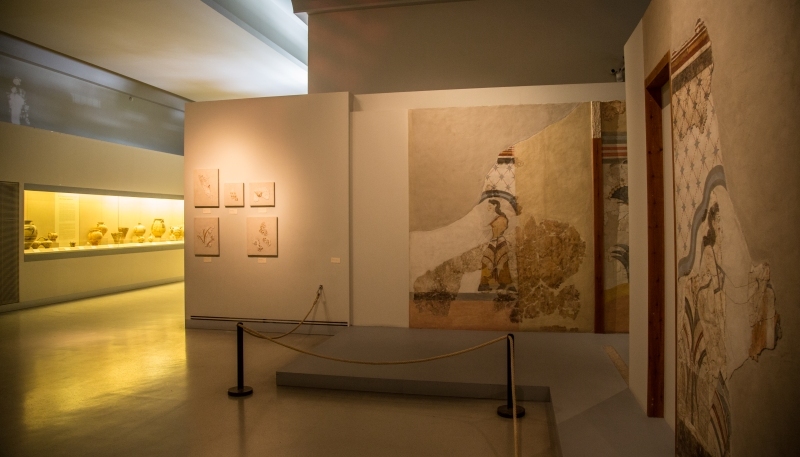 It is dedicated to the study and promotion of ancient cultures of the Aegean and Cyprus, with special emphasis on Cycladic Art of the 3rd millennium BCE. 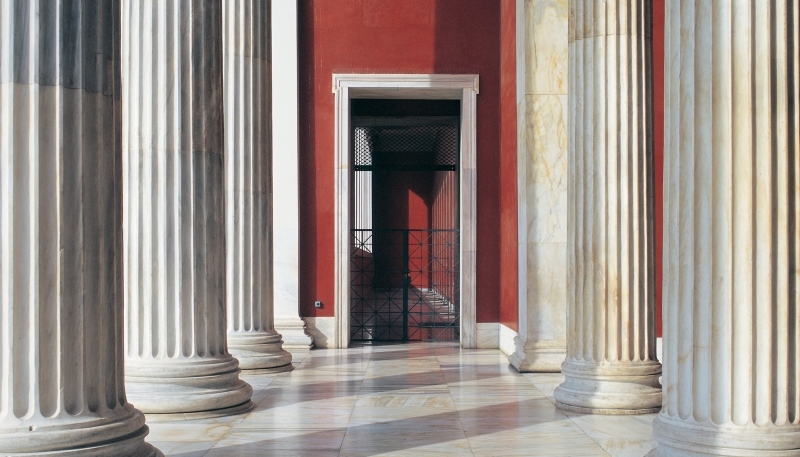 Dedicated to the city of Athens, the museum is particularly focused on presenting the city’s modern history, from 1834 onwards. Built in 1833–1834, the museum’s building is itself part of this history, having served as the first temporary residence of Greece’s first royal couple. 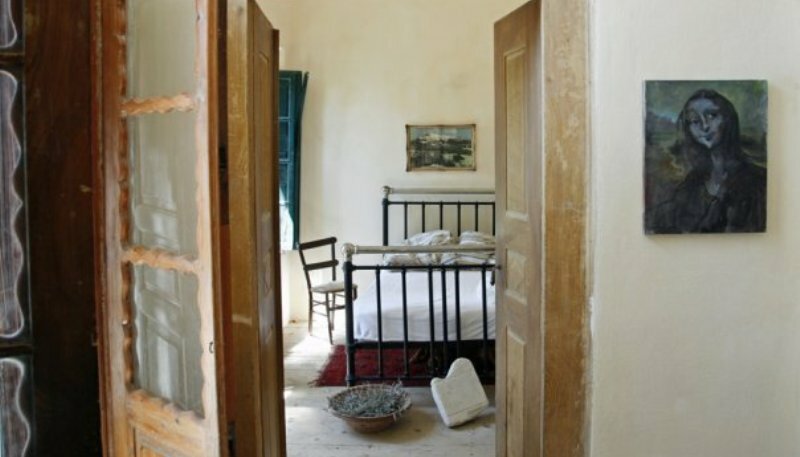 The museum showcases a wealth of material culture objects from the 19th century and a range of rooms furnished and decorated in authentic 19th century aristocracy style, offering a rare glimpse into the a fascinating period of modern Greek history. Initially established in 1829, Athens’ National Archaeological Museum is considered one of the world’s greatest archaeological museums. 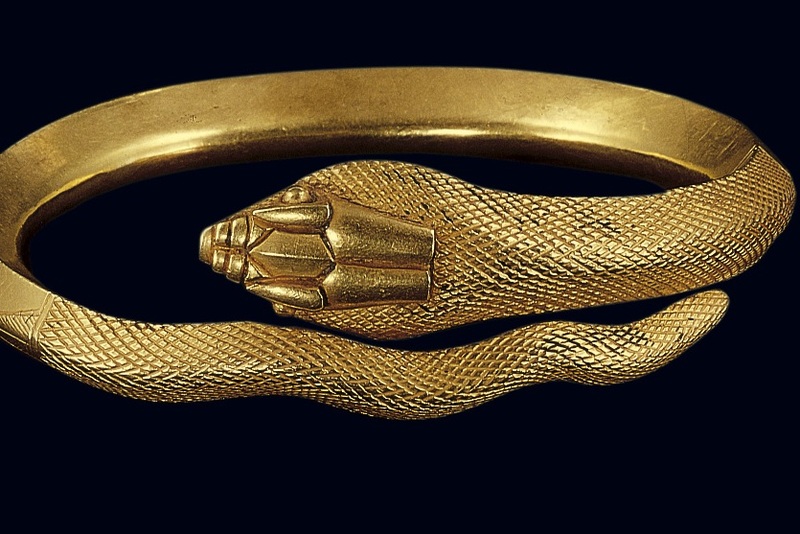 Its collection comprises of Neolithic, Cycladic, Theran and Mycenaean antiquities and includes some of the most significant and widely-recognizable pieces recovered around Greece. The Gallery is dedicated to the work of Greek artist Nikos Hadjikyriakos-Ghikas, one of the most important modern Greek painters, who once lived and worked in the building. 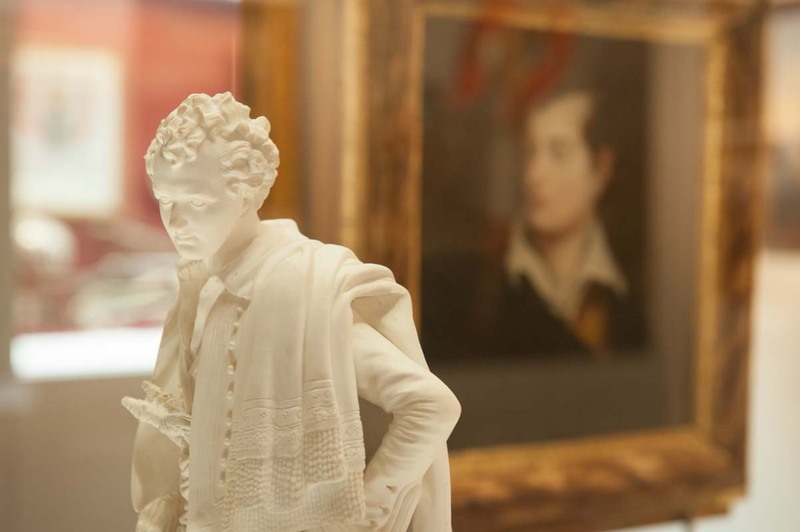 Apart from the Artist's work, the Gallery’s permanent exhibition features a range of temporary exhibitions that highlight Greek intellectual and artistic output with a focus on the period from the 1920s to the mid-1960s. 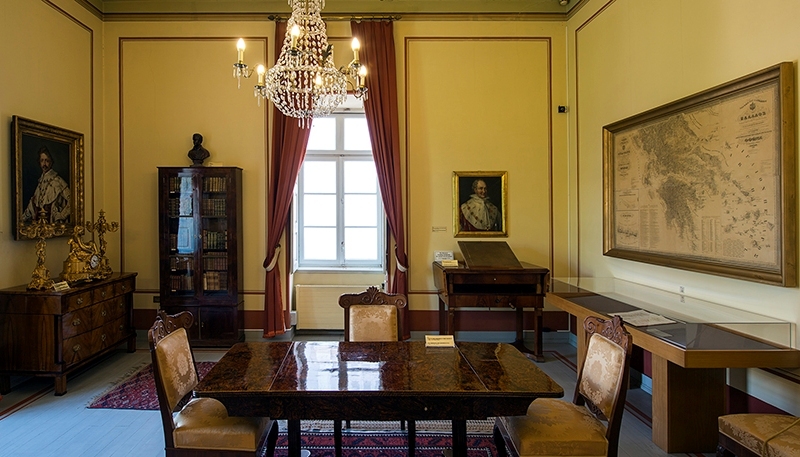 Established in 1834, the Numismatic Museum is one of the oldest public museums in Greece and boasts one of the greatest collections of coins in the world with over 500,000 items—coins, medals, lead bullae, gems, obeloi, talents, etc.—dating as early as the 14th century BCE. 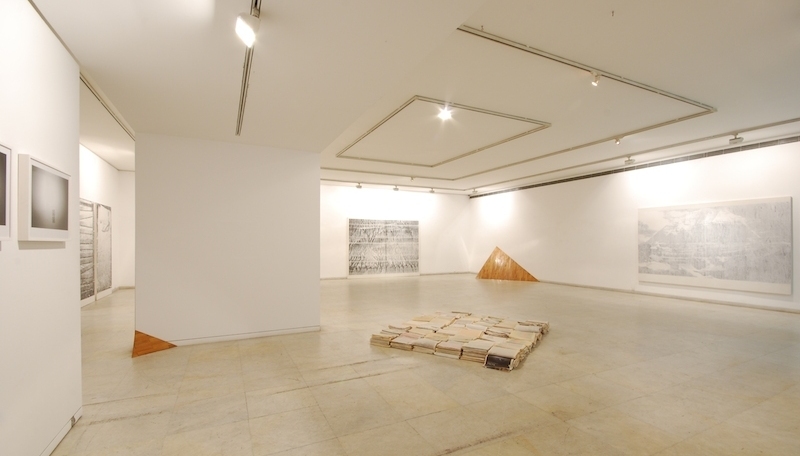 The collection was moved to its current location, Iliou Melathron, in 1998. Designed by the famed architect Ernst Ziller, the luxuriously decorated Iliou Melathron was considered the most magnificent private residence in Athens in the late 19th century. Whilst determined to bring the Greek public in contact with internationally renowned artists, Kalfayan Galleries are also committed to actively promoting contemporary Greek artists. Over the years, the galleries have collaborated on numerous projects with acclaimed international institutions and museums, and are actively providing a platform that acts as a bridge between eastern and western visual culture. 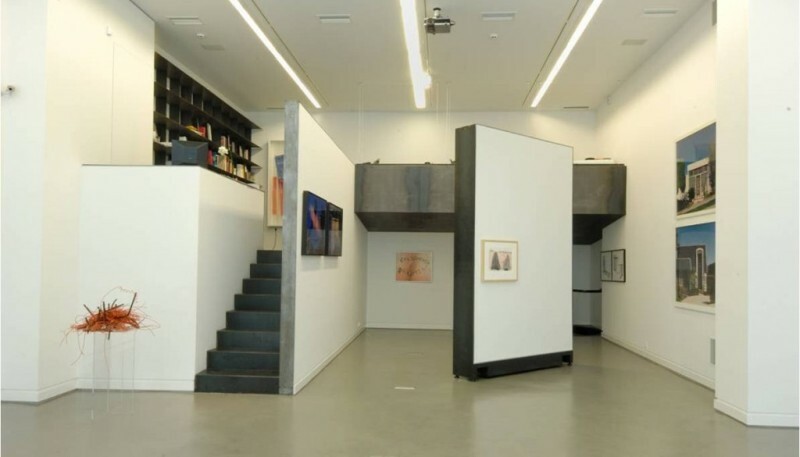 Since 1966, the Zoumboulakis Galleries have been exhibiting the work of some of the most acclaimed Greek and international artists—from Man Ray to Tsarouhis and from Fassianos to Picasso. 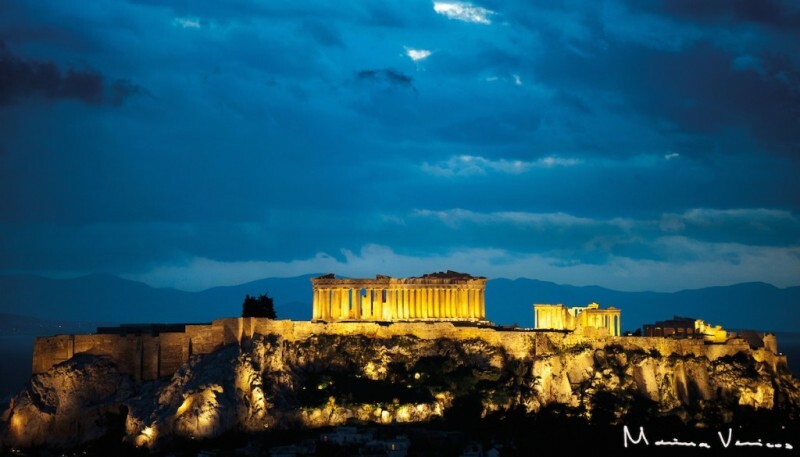 One of the world’s most iconic and recognizable ancient monuments, the Acropolis of Athens is the city’s foremost landmark and one of the most popular tourist sites worldwide. The Parthenon, situated atop the Acropolis, is the site’s most prominent and best known building, but the archaeological area includes numerous additional temples, shrines and theatres, including the world-famous Odeon of Herodes Atticus, a stone amphitheater that continues to host some of the world’s foremost musicians and performers. 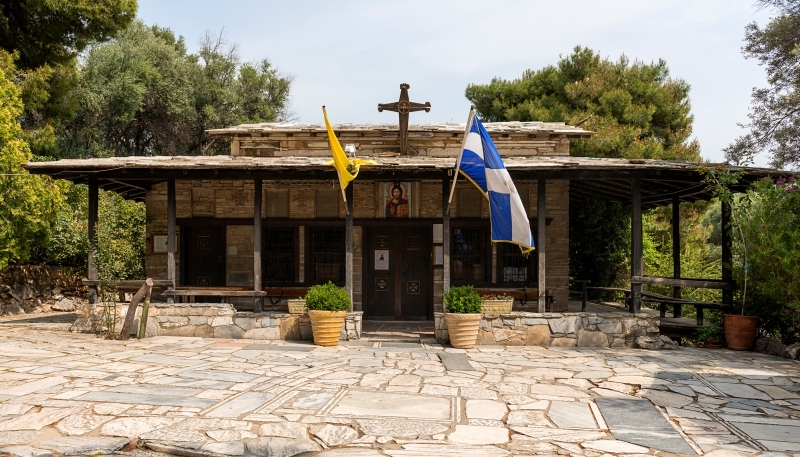 Situated at the foot of Philopappou Hill, just across from the Acropolis of Athens, is the little Byzantine Church of Aghios Dimitrios Loumbardiaris. 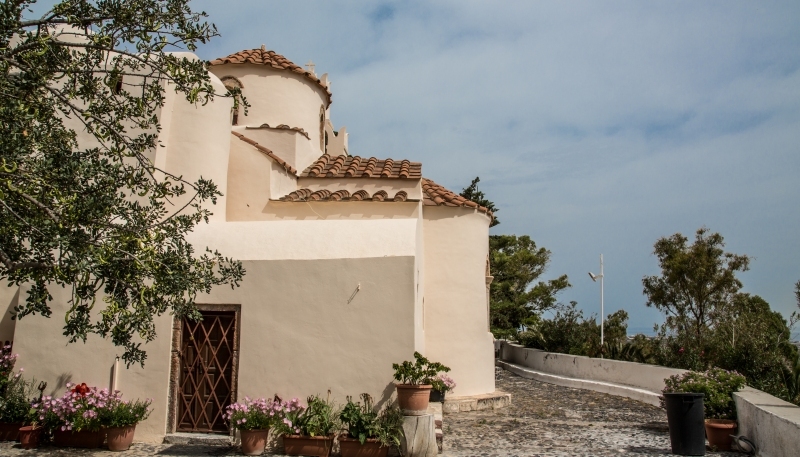 Originally built in the 16th century, the building was restored in the 1950s by the influential architect and thinker Dimitris Pikionis, who also designed the pedestrian area between the Acropolis and Philopappou Hill. 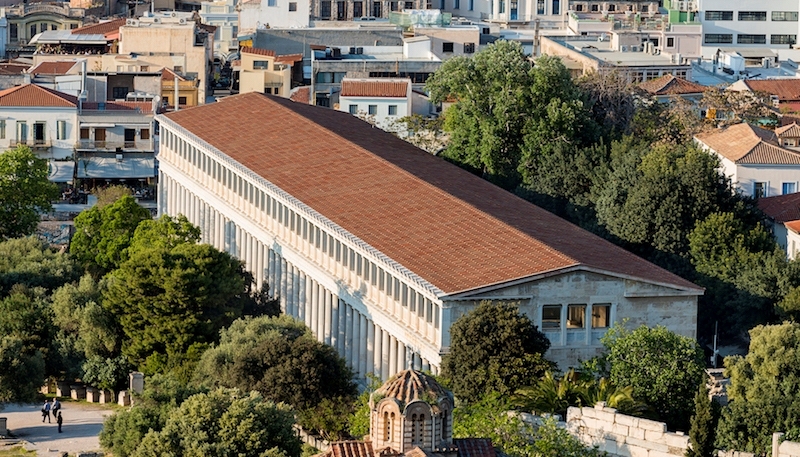 The Agora was the place where the heart of ancient Athens used to beat for many centuries. Its history began as early as the 3000 B.C. when it was used as a residential and burial area. 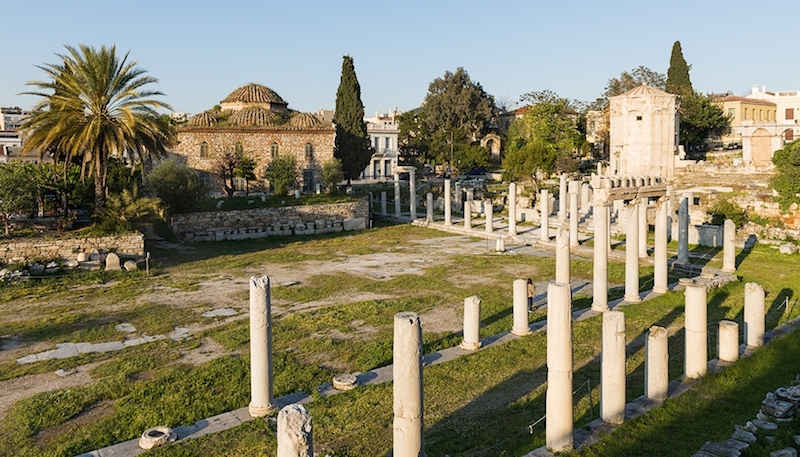 During the time of Solon and the 6th century, the Agora was the political, commercial, religious and cultural focal point of Athens. 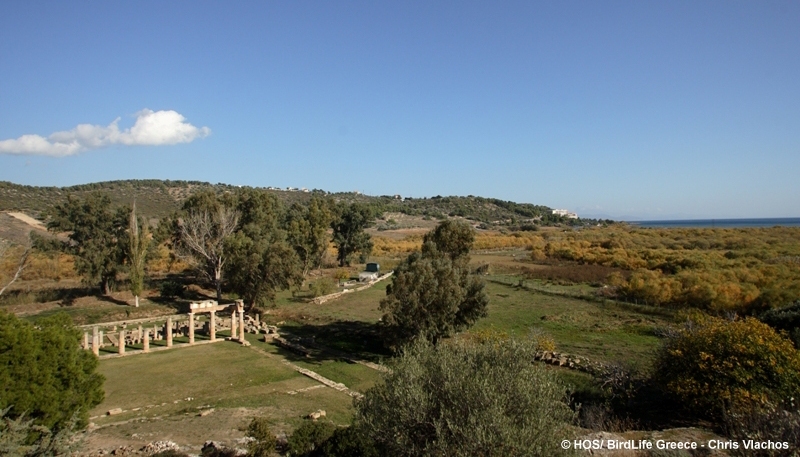 Important monuments on this peaceful site include the Stoa of Attalos, the Temple of Hephaistos, Tholos, and Bouleuterion. One of the most characteristic things to see in central Athens is the ceremonial Changing of the Guard. 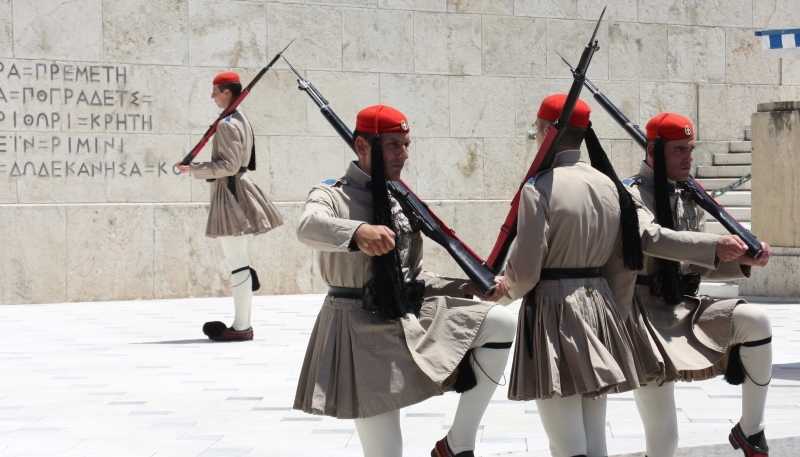 The Presidential Guard—an elite ceremonial army unit known as ‘Evzones’ or, colloquially, as ‘Tsoliades’—march from the Guard Barracks to the Tomb of the Unknown Soldier, which they guard, and back. The Evzones are known around the world for their distinctive traditional uniforms, their completely motionless standing at attention and the slow, highly stylized manner of their movements. 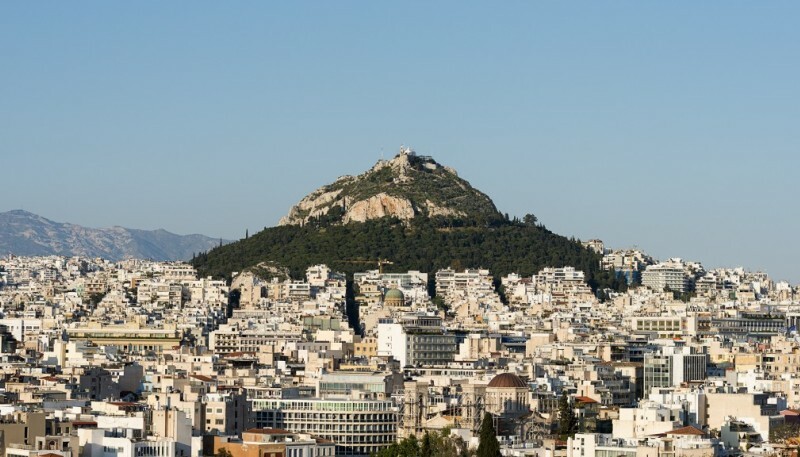 At 277 meters (908 feet) above sea level, Mount Lycabettus is the highest point in the city that surrounds it. Its slopes are covered in pine trees, and its peak is home to the 19th-century Chapel of Saint George and a large, open-air theater that regularly hosts performances by top local and international artists. Mount Lycabettus is popular destination with tourists as it provides excellent panoramic views of the capital. 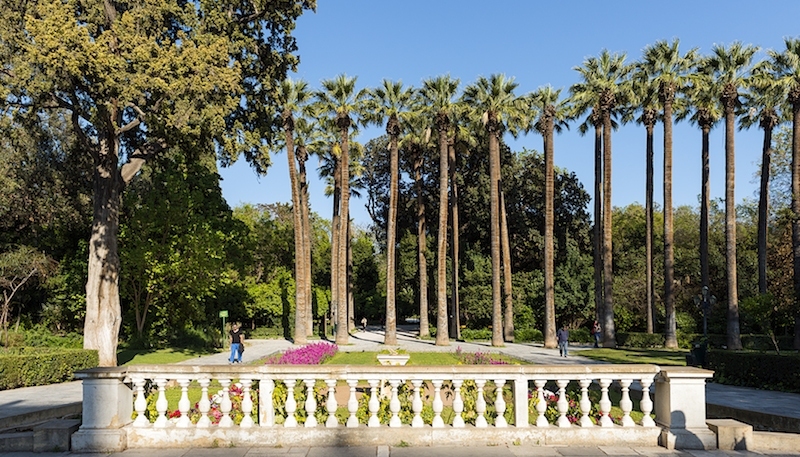 Originally commissioned by Queen Amalia, the first Queen of Greece, as her royal gardens, the National Garden has provided the backdrop for much of the country’s modern history. Located just next to the Building of Parliament, once the royal palace, the gardens have witnessed much of the social and political history that forged the modern Republic of Greece. Discover Greek Culture’s tours of the National Garden are accompanied by a landscape architect or a horticulturalist who can provide guests with in-depth information about the site’s history and function, as well as the characteristics of its wealth of fauna and flora. The Roman Agora is located between Monastiraki and Plaka, just below the Acropolis in central Athens. Originally constructed in the 1st century BCE, it soon became the city’s commercial center. Over the centuries, the site was expanded and buildings changed use, with many of the structures currently on the site having served various functions during Roman, Byzantine, and Ottoman times. Notable monuments on the site include the Tower of the Winds, Fethiye Mosque and the Gate of Athena Archegetis. 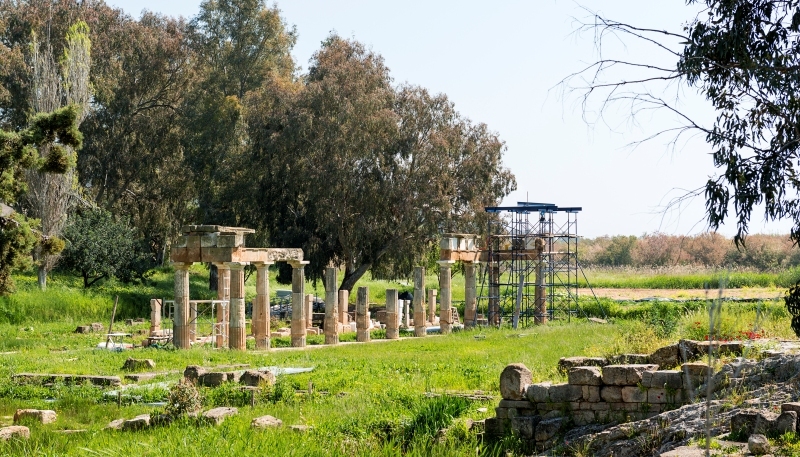 One of Attica’s oldest and most important sites of worship, the Sanctuary of Artemis at Brauron is located on the eastern coast of Attica, near the Aegean Sea. The site was used for worship from the 8th to the 3rd century BCE and the first known temple dating to the 6th century BCE. In addition to the temple, the sanctuary contained a unique stone bridge, shrines, a sacred spring, and a pi-shaped stoa. The site is particularly worth visiting due its unspoiled character. 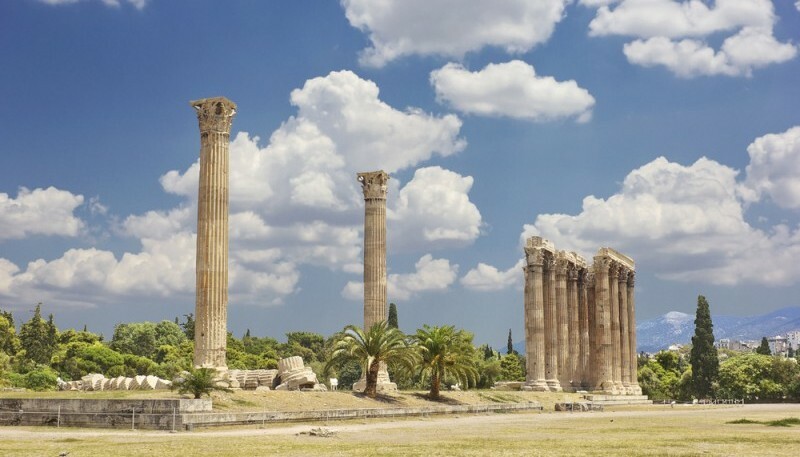 Located in the center of Athens, the Temple of Olympian Zeus was dedicated to the King of Gods. Built of marble from Mount Pentelus and exceeding even the Parthenon in size, it was renowned as the largest temple of the Roman years and, according to Vitruvius, one of the most famous marble buildings ever constructed. There were originally 104 Corinthian columns of which only 15 remain standing and one collapsed during a severe windstorm in 1852. 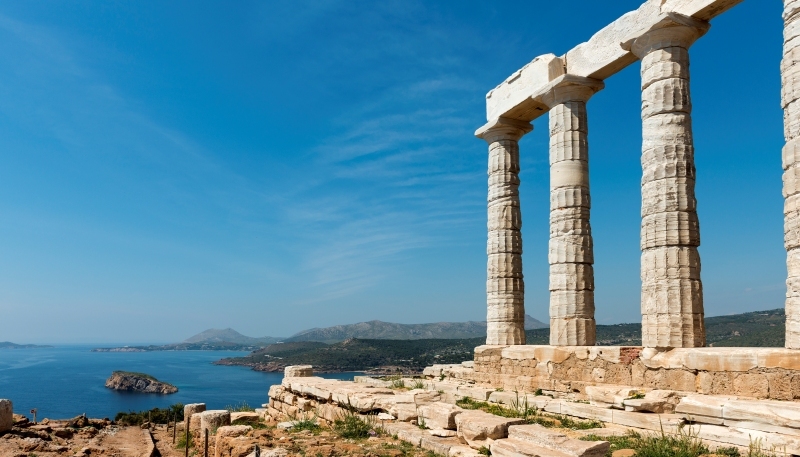 Perched atop the headland at Cape Sounio, the Temple of Poseidon was built in the 5th century BCE over the ruins of an earlier temple of the archaic period. From Lord Byron to Heidegger, the iconic and easily recognizable temple has fascinated artists and scholars throughout the ages. In addition to the temple, the site is also visited for the location itself: a rocky cape that has been shrouded in myth since antiquity, and which features prominently in the legend of the naming of the Aegean Sea itself. Part of the Natura 2000 network of protected areas, the Vravrona Wetland is located next to the Sanctuary of Artemis at Brauron and features a unique wealth of rare flora and fauna. The area, which extends from the archaeological site to the coast, is home to a number of rare and endangered fish species and provides nesting grounds for a wide range of birds, from herons to birds of prey—a total of 175 distinct bird species have been recorded in the area. In what would otherwise be next to impossible for visitors to the city, DGC has arranged for its true lovers of culture and art to spend time with local artists in their workshops. From the influence of the urban light and landscape on the artists’ creative process to the interplay between multicultural city life and the essence of Greek art, this exclusive feature will allow you to experience contemporary Greek art in the making, complete with exclusive sneak peeks at the artists’ work and the chance to meet the artists and chat with them about what it’s like to live and create in Athens’ city center. 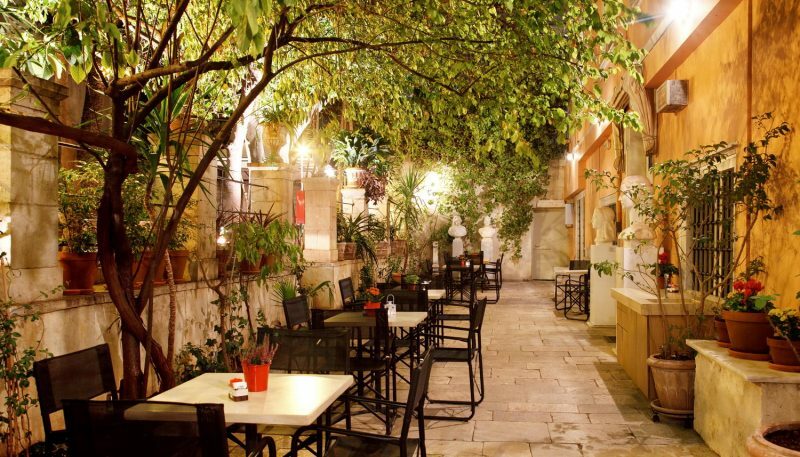 In a one-of-a-kind opportunity, guests are invited to enjoy a specially catered dinner at a private mansion situated on Tripodon Street, the oldest city street in Europe with the same name for over 2,500 years. 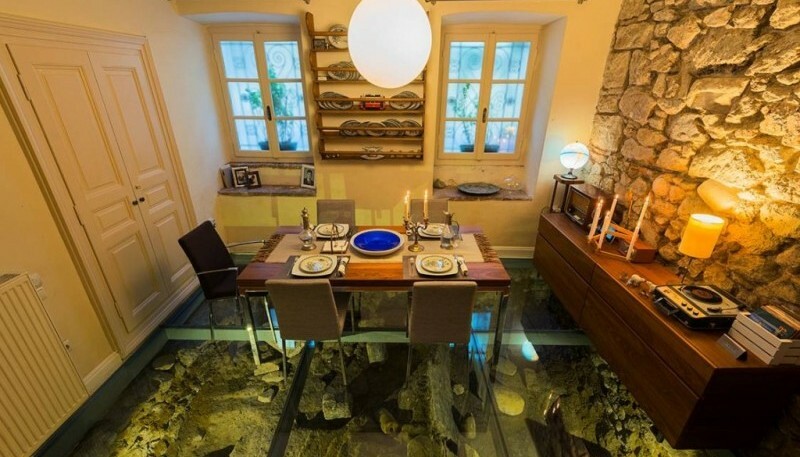 This mansion is arguably one of the most interesting private homes in Athens, as its dining room is set over the excavation work! Enjoying a taste of Greece through the ages, guests will be able to marvel at the recent archaeological discoveries through the glass floor, whilst enjoying a modern twist on traditional Greek cuisine. 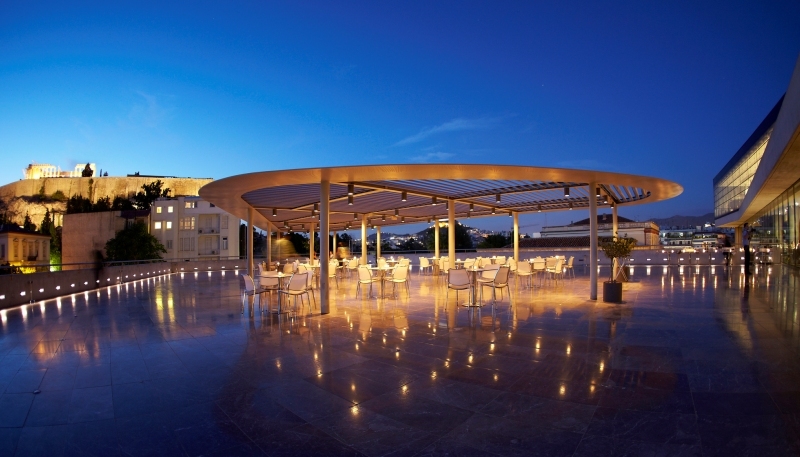 On warmer nights, dinner is served on the roof terrace that enjoys a direct view of the Acropolis. Characteristic of the many influences that came together to form the “traditional” Athenian style, this private building complex comprises two buildings: the original, built in the early 18th century, on the eve of the Greek War of Independence, and the newer, 19th century neoclassical additional. The house features an original, 300-year-old staircase built for the original owners—a noble family from Corsica and Provence—and a hagiati, a characteristic wooden balcony that is a recurring theme in Ottoman architecture. A number of additional features, uncovered during the complex’s 1997 refurbishment, include marble reliefs and inscriptions, a cannonball purported to date from the 1687 Venetian siege of the Acropolis, and part of Hadrian’s city wall that was constructed during 125–135 CE. Discover Greek Culture has come to an exclusive agreement with the owners to grant our guests visiting access to the home and grounds. 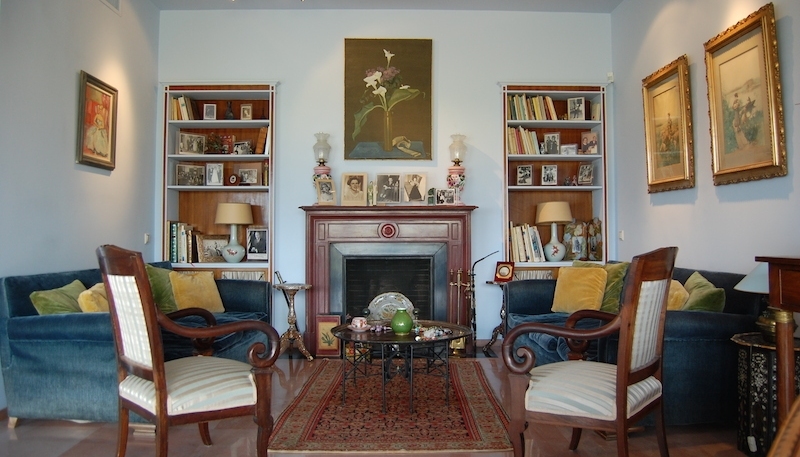 Visits to the mansion are very much follow its architectural style: afforded a taste of traditional Greek hospitality, guests are invited into the home and treated to Greek coffee and loukoumia (a traditional Greek sweet), whilst learning about history of the building and the area—a history with as many different influences and elements as the complex itself. Arriving after-hours, the Benaki Museum will open its doors exclusively for our guests. 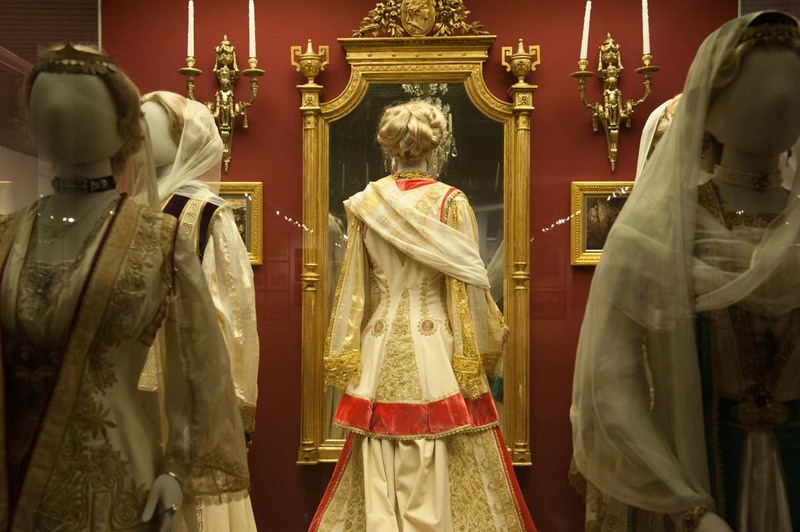 Following a private 19th-century expert-led tour to the museum's neoclassical exhibition, guests will visit the museum's vaults to explore, touch and feel real artifacts and heirlooms from the men and women who wrote Greece’s modern history. These treasured items have donated to the Benaki Museum over the past decades and are currently not on public display. 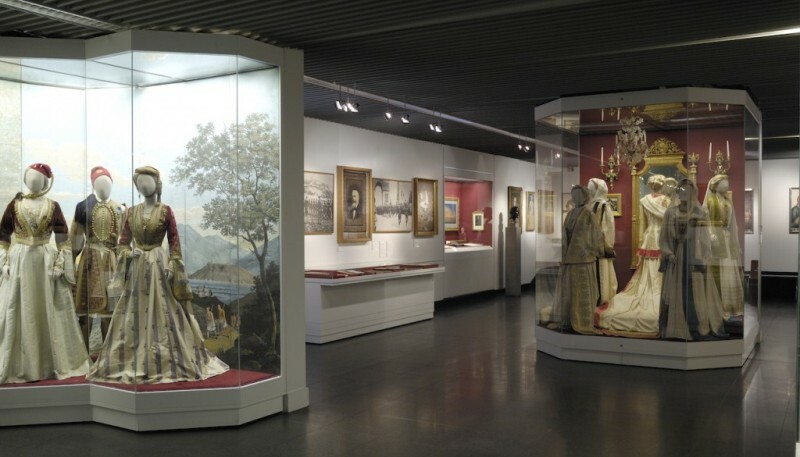 Available only through DGC, guests can visit the Benaki Museum's vaults to explore, touch and feel real artifacts and heirlooms from the men and women who wrote Greece’s modern history. These treasured items have donated to the Benaki Museum over the past decades and are currently not on public display. 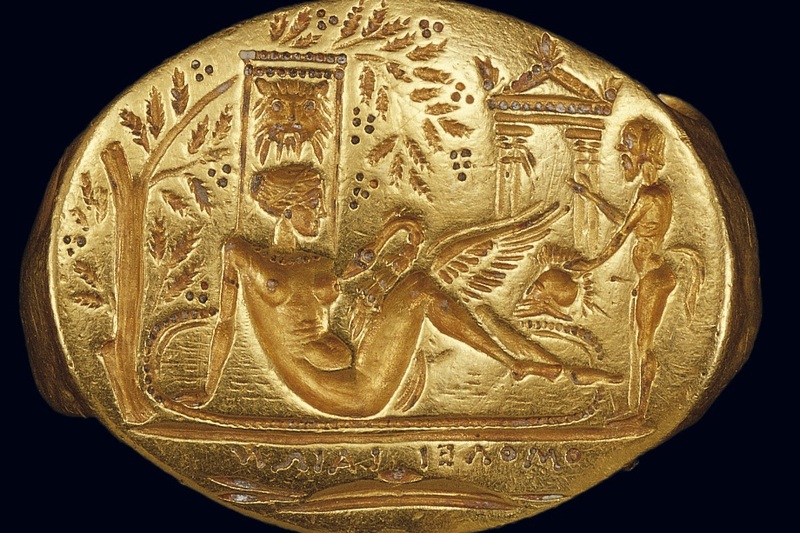 In an exclusive arrangement with the Benaki Museum, DGC guests are invited to visit the museum’s underground vaults and feel the extensive history of Greek jewelry in their hands over an exclusive handling session of precious 19th-century jewels. These precious artifacts are currently not on public display. 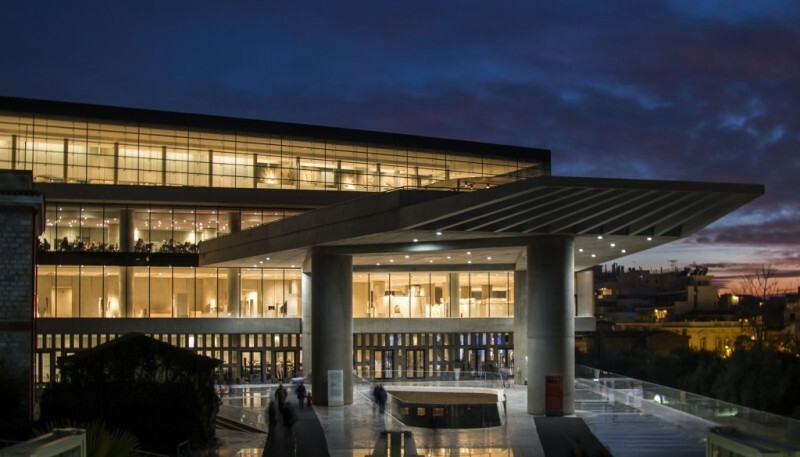 Arriving after-hours, the Benaki Museum will open its doors exclusively for our guests. Following a private tour of the museum's vast jewelry collection, you will head to the museum's vaults to become jewelry conservators for a day, holding in your hands precious artifacts of the 19th century that are currently not on public display. 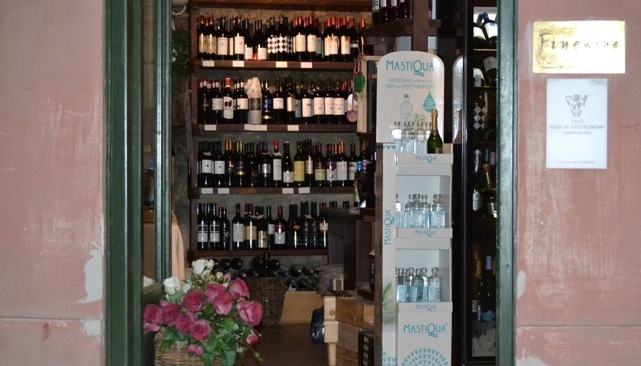 Sample traditional wine and produce at an authentic old-fashioned wine store, housed in a terracotta building in Plaka. Dimitris and Sofia, the owners, are veritable oenophiles and will be eager to give you a warm welcome as they share the bounties of Greece’s time honored winemaking tradition. Considered amongst the landmarks of the bustling Plaka district, Brettos is a cozy blend of distillery and bar with more than 100 years of history. 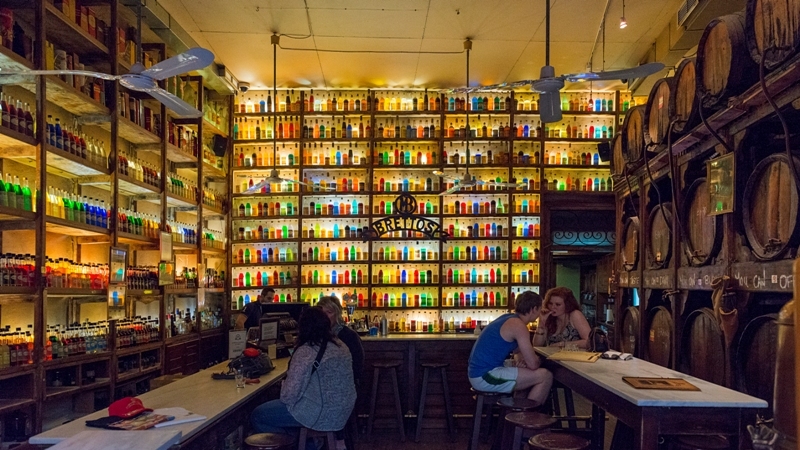 Sample its home brands of ouzo, raki, and liqueur next to a stunning wall of colorful bottles and huge barrels. With panoramic views of the Acropolis, Acropolis Museum's restaurant offers a variety of dishes based on traditional Greek recipes. 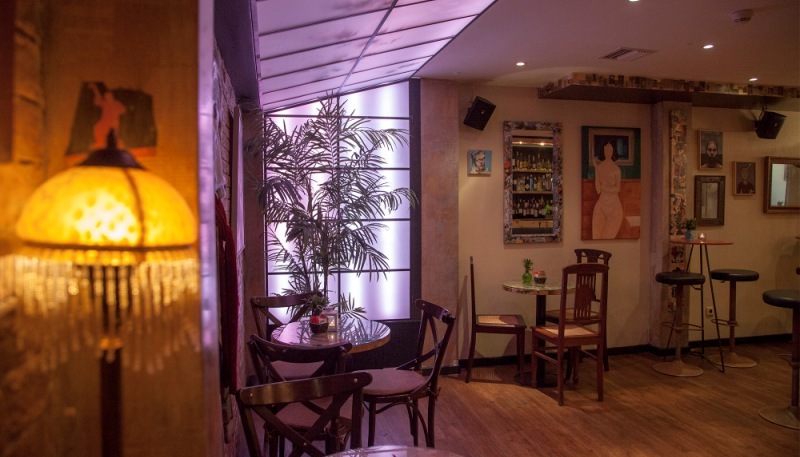 Discover the traditional Greek cuisine at Attikos Greek House, a restaurant next to Philopappou Hill that boasts spectacular views of the lit-up Acropolis. On colder days, meals are served on the main level, where you can enjoy the warmth of the crackling fireplace and the tranquility of the garden behind a window that looks like a painting. 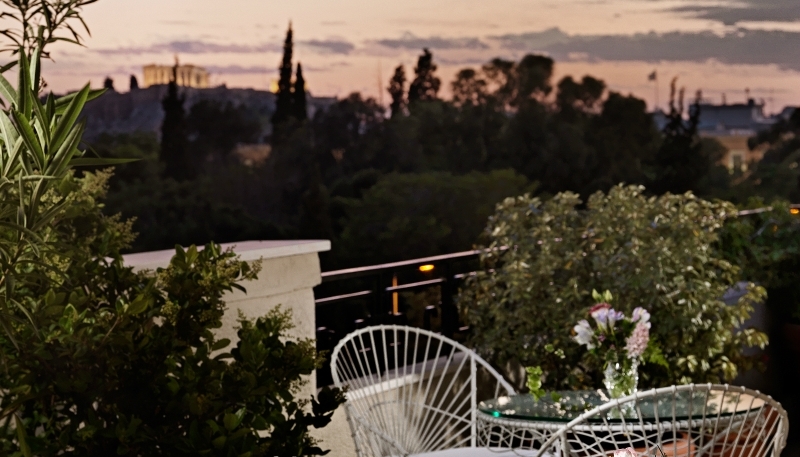 Dedicated to the Greek cuisine, Benaki Museum's restaurant offers a wide range of Greek gastronomic selections while featuring breathtaking views of the National Garden and wooded Ardittos Hill. A hidden treasure in the gardens of the Museum of the City of Athens that Queen Amalia herself had created in the early 19th century. Taste fine Mediterranean cuisine at an all-day multilevel hang-out restaurant with amazing decoration details. 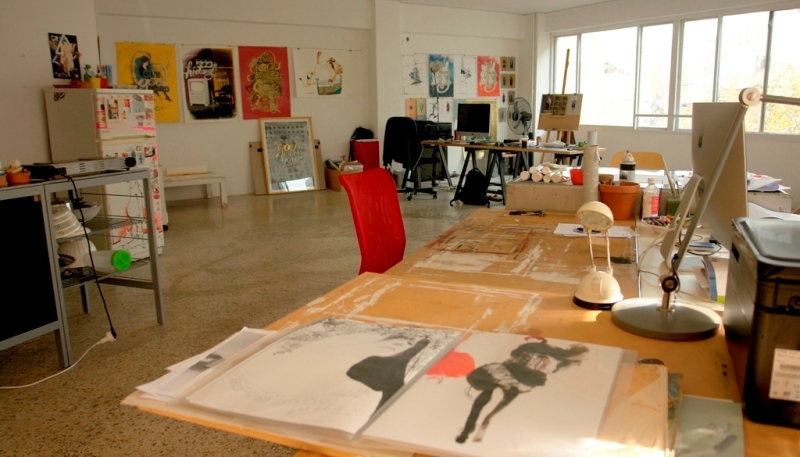 When you visit Black Duck Multiplarte you certainly cannot miss the art and photography exhibitions in the basement. 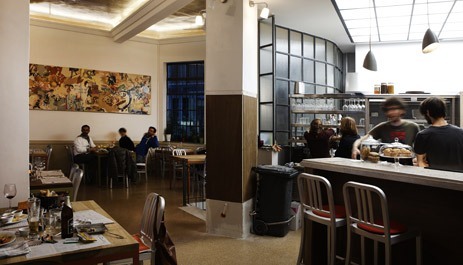 A variety of cuisines under one roof in the heart of Athens. Indulge yourselves to Asian, Ethnic, European, Latin, Mediterranean, Mexican, and Middle Eastern delicious dishes made from high quality ingredients. 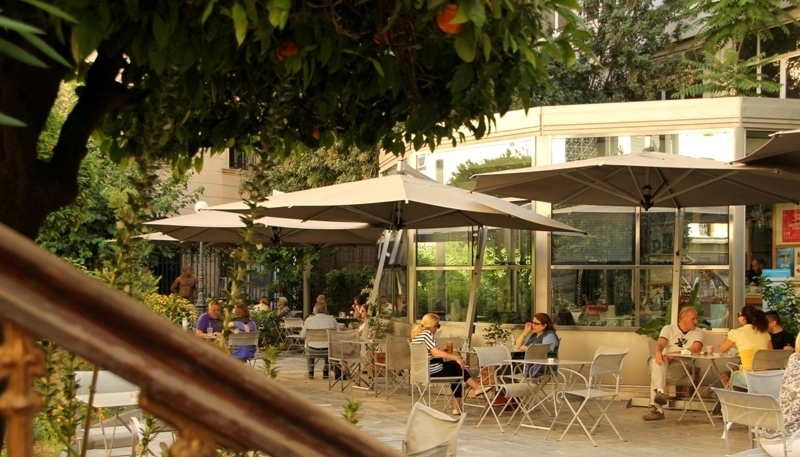 A chic hidden oasis in the center of Athens to whet your appetite before visiting one of the greatest collections of coins in the world. 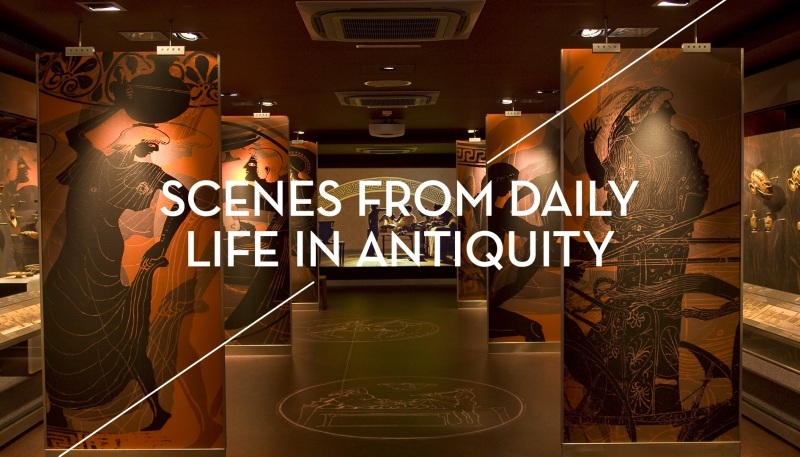 One of the most important archaeological museums in Greece that aims to explain the history of the Delphic sanctuary and it’s broader impact in shaping politics, religion, and philosophy over the ages. 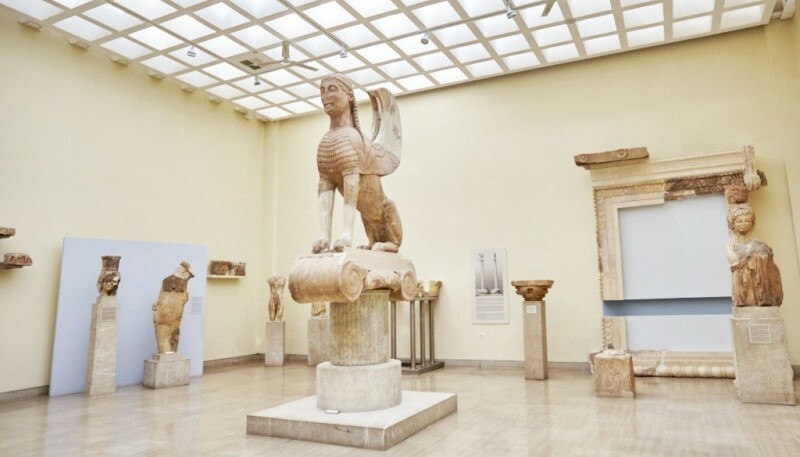 The two-story museum boasts a stunning collection of original artifacts, sculptures and statues recovered from the nearby site, which span from the 15th century BC to the late antiquity period. The museum also hosts conservation laboratories for pottery, metal objects and mosaics as well as an all-new lobby, cafeteria and gift shop. 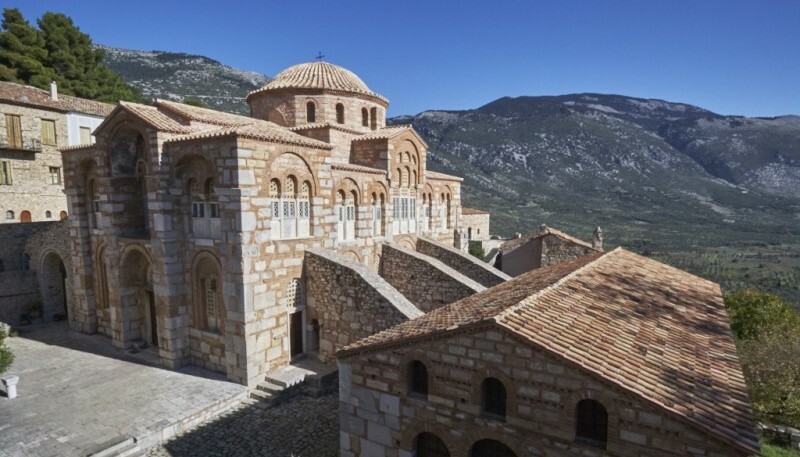 The monastery of Hosios Loukas is located at a breathtaking site, untouched by human hands, on the slopes of Mount Helicon. Founded in the early 10th century AD by the hermit Loucas Stereiotis, it is one of the finest monuments of Middle Byzantine architecture and art, and has been listed on UNESCO’s World Heritage Sites. 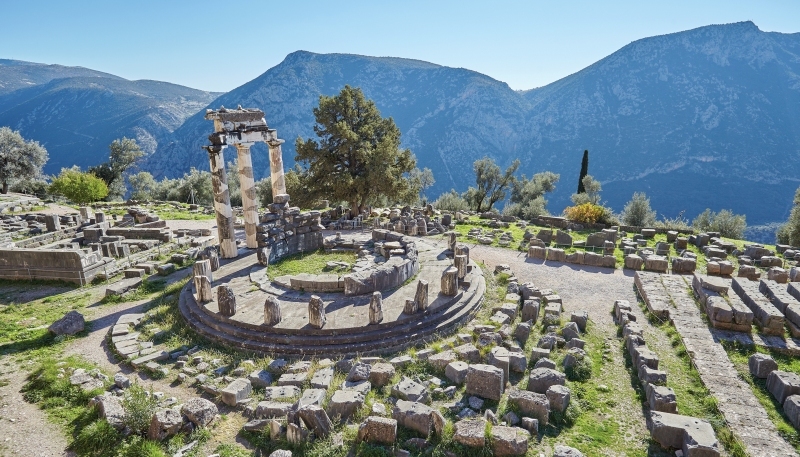 Considered by the Ancient Greeks to be the center of the world and the home of the legendary Oracle of Delphi, the Archaeological Area of Delphi is one of Greece’s most important archaeological sites today, and contains more history, culture and myth than almost any other site in the world. Visitors of the site will learn about the sacred rituals performed on site by the ancient Greeks and will have the chance to feel the gravity of millennia of history in the making. 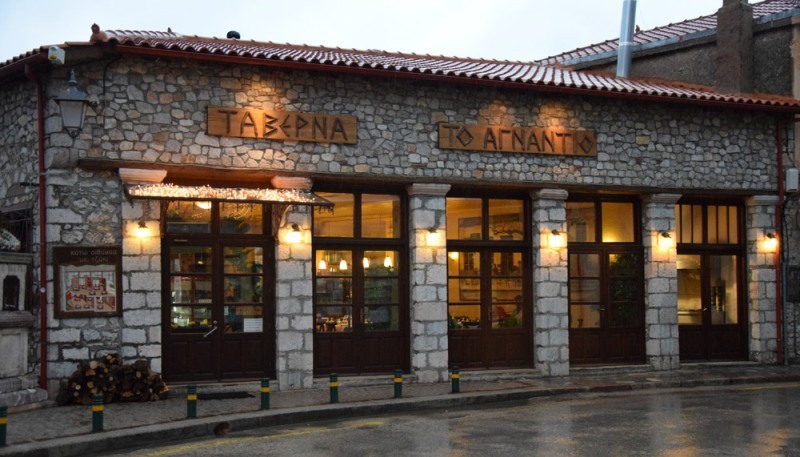 A traditional tavern located in the center of the picturesque Arachova. Agnanti features local dishes made with traditional recipes of Viotia region as well as splendid views of Itea village. Get a first-hand look at how the island’s unique colors, pristine environment and mesmerizing beauty have given rise to unique forms of artistic expression for thousands of years, from wall paintings to stunning frescos. 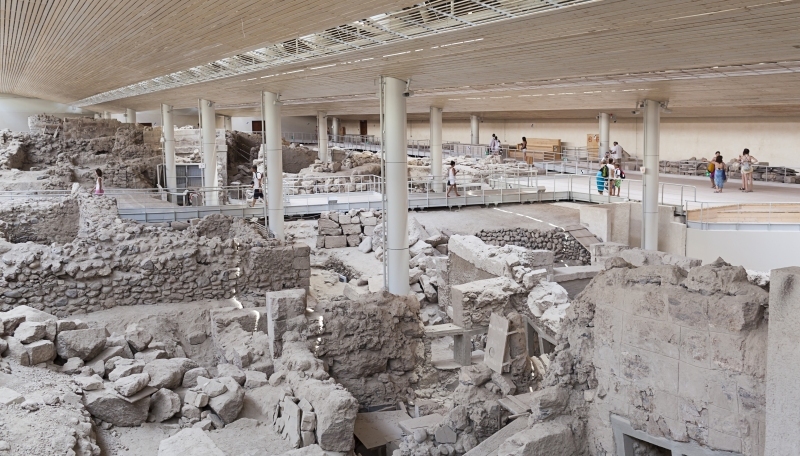 Akrotiri was once a thriving Minoan settlement rich in cultural treasures and artisan skills. With an expansive drainage system and multi-storeyed buildings, Akrotiri quickly grew into one of the Aegean’s most prominent ports, peaking in influence around 1700 BC. A Byzantine-era cathedral that dates back to the year 1115 AD and many accounts attribute the commissioning of the church to Byzantine Emperor Alexios I Komnenos. 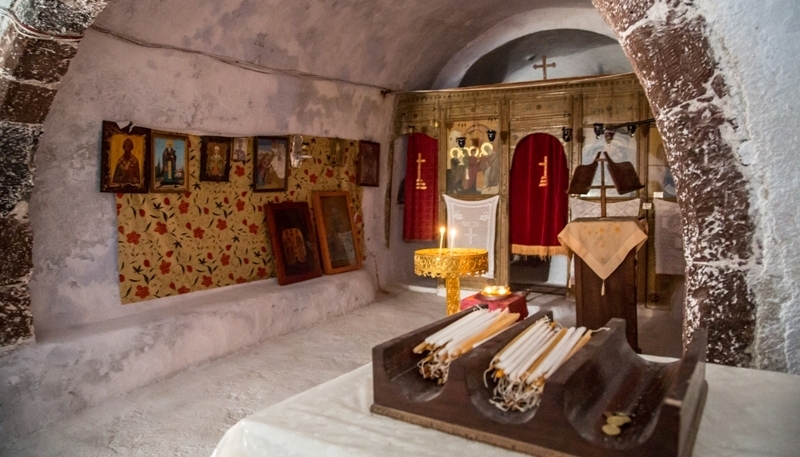 Today, the church boasts a treasured collection of frescoes and iconography, the crown jewel of which is a 12th century icon known as Panagia Glykofilousa. An outstanding church accessible only via a wooden ladder that could be retracted when enemies were nearby. Today, the church serves as the site of many festivals during the year. 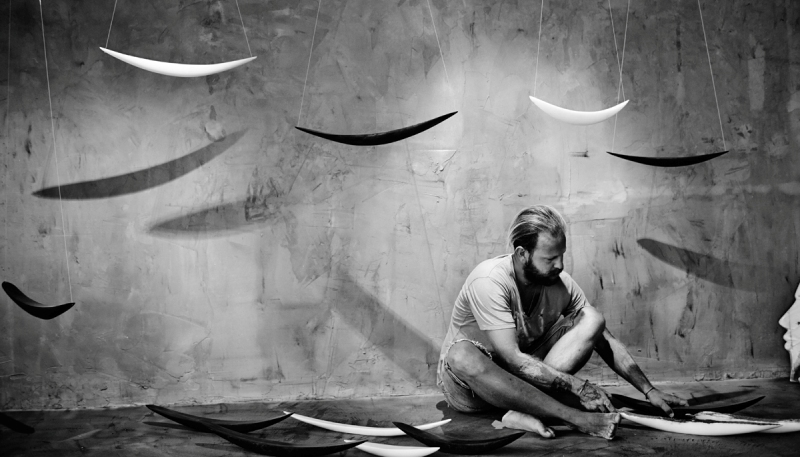 Meet the famed sculptor Grigoris Kouskouris at Spira Marble Art Gallery . Grigoris will demonstrate the traditional techniques of his craft, and showcase how he has built on these time-honored practices to create his own unique style and art. Witnessing Grigoris’ skill and grace, you will conclude the tour with a taste of Santorini hospitality over some delectable mezedes. The mansion was built in the 19th century by wealthy Venetian merchants and was successively inhabited by Venetians, Greeks, Italians, Germans and Englishmen, before ending up again in Greek hands. Its external shape is preserved until today and almost all of its elements, such as furnishings and colors, remain intact. Guests will have the opportunity to sit on the atmospheric roof terrace and enjoy a glass of wine as you watch the sun set majestically into the Aegean Sea from one of the island’s finest vantage points. Enjoy the real taste of local hospitality at a local family farm and the Faros Market shop in the village of Faros. There, you will sample fresh-picked Santorini fruits and vegetables as well as observe the cultivation of the island’s delicacy, fava. 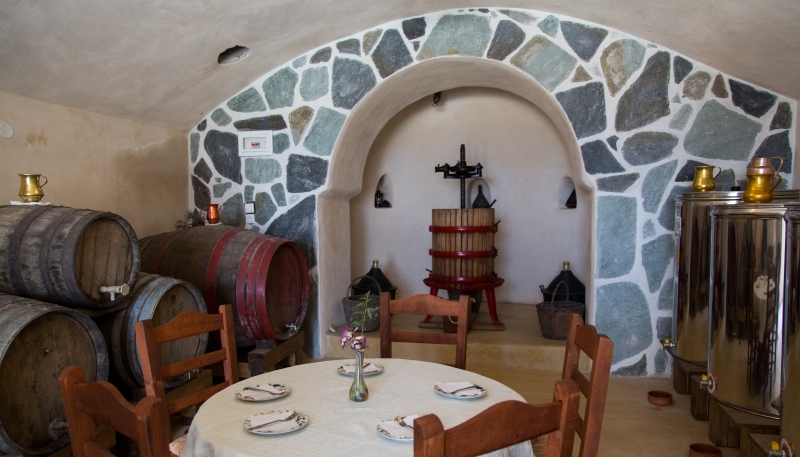 Oenophiles will have the opportunity to sample Faros’ famous wines direct from the barrel, and even bottle their own wine for consumption.